Highland Park, Illinois is home to a very special house. Architecture buffs will recognize 370 Beech Street as a steel and glass building designed by notable architects A. James Speyer and David Haid. 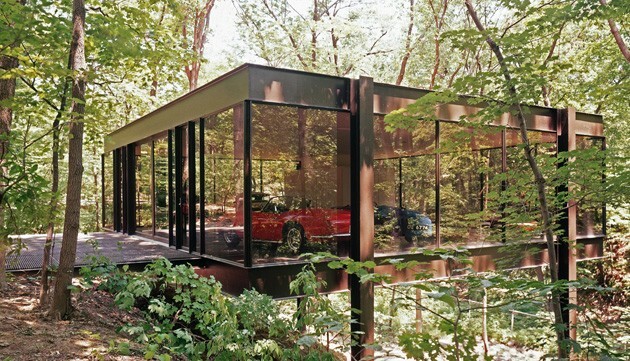 370 Beech was also an unforgettable movie where a Ferrari met its dramatic end in Ferris Bueller's Day Off. If you haven't seen the movie, this is a classic. As is the house. The house was originally listed with for $2.3 million. Today, the price has been lowered and the "Ferris Bueller house" is now $1.65 million.